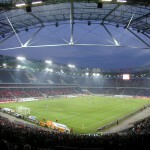 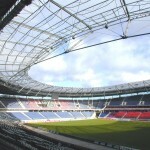 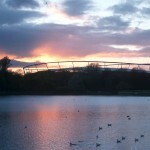 The HDI-Arena in Hanover, formerly the AWD-Arena/Niedersachsenstadion, was one of the stadia to host the FIFA World Cup 2006 in Germany. 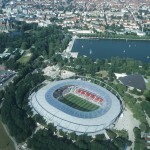 Originally built between 1952 and 1954 on the ruins of the city after the Second World War, the complex has been transformed from a multipurpose stadium to a “dedicated” football stadium. 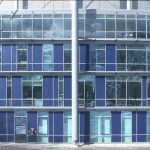 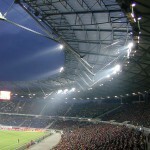 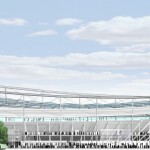 Following an international architectural and engineering competition held in 2000, the key feature of the winning project is a roof separated into two concentric segments: an opaque outer one with metal decking and a transparent inner part consisting of a steel cable structure covered with a single layer of ETFE (Ethylene Tetrafluoroethylene), allowing ultraviolet light to transmit and allowing the natural growth of the turf without the utilization of specific energy intensive UV-Lighting systems.